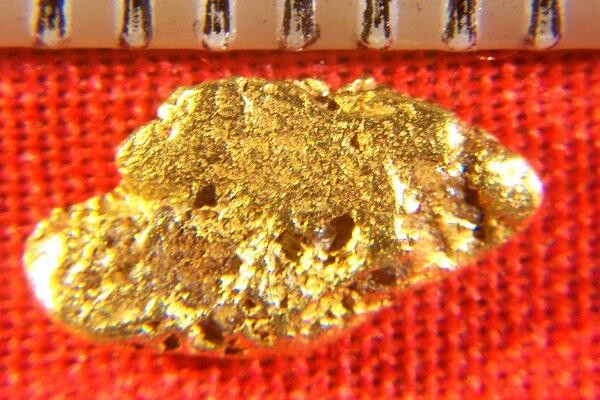 This Natural Gold Nugget from the Yukon Territory in Canada is evenly narrow and the natural grooves give it a natural, rugged look. The weight of this beauty is 12.0 Grains (0.78 Gram) and it measures 3/8" (10 mm) long. Yukon gold is especially beautiful. The purity is 92% to 98%. (22 KT to 23 KT). 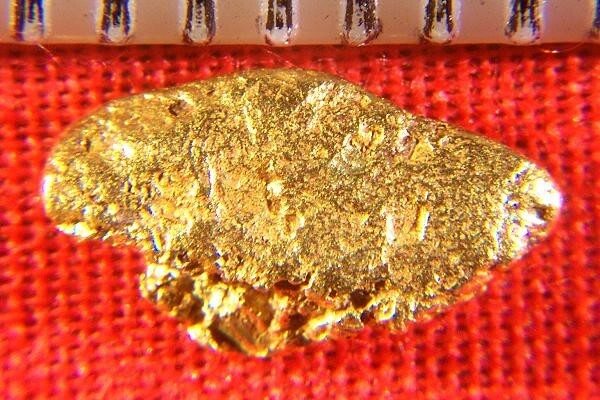 This gorgeous gold specimen was found by a prospector quite a few years ago.